Known for their intelligence, playfulness and insatiable curiosity, the kea is the world’s only alpine parrot. Named New Zealand’s 2017 Bird of the Year, they live in the Southern Alps of the South Island and even have their own David Attenborough BBC documentary, titled The Smartest Parrot. 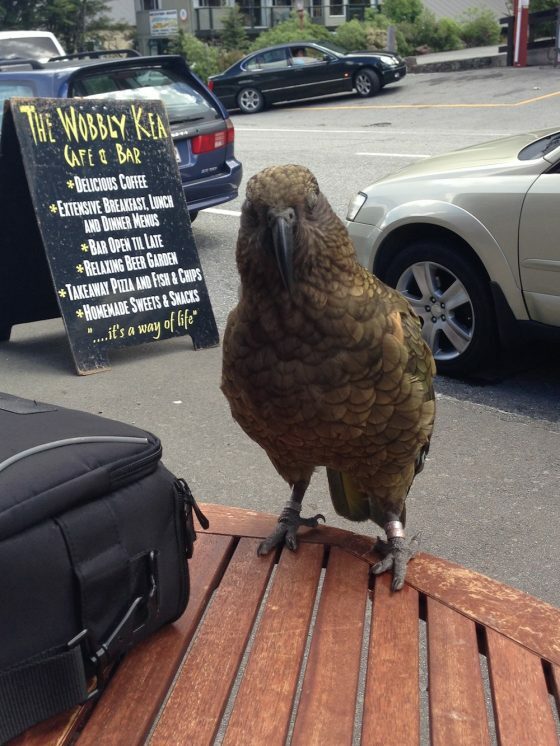 If you find yourself with a kea companion, whatever you do, don’t feed them. Inappropriate food is one of the reasons they are an endangered species. Being hit by cars is another so keep your eyes peeled when driving the spectacular 900 metre alpine pass between Christchurch and the West Coast.